Wendell Smallwood led the Big 12 in rushing in 2015. 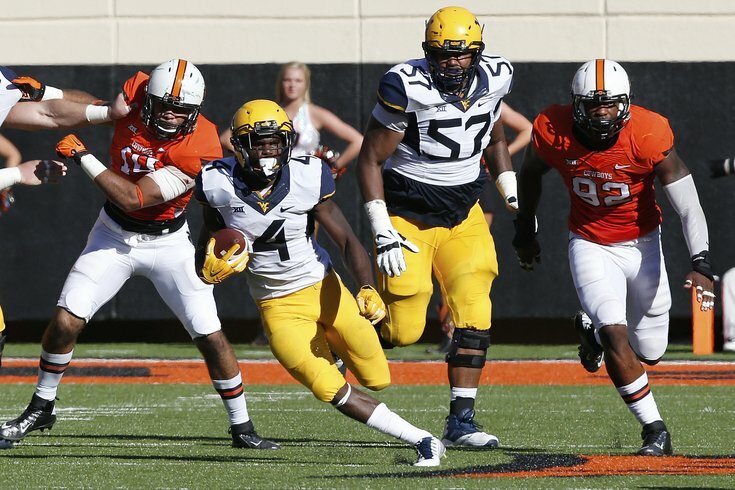 With their fifth round pick (153rd overall) in the 2016 NFL Draft, the Philadelphia Eagles selected West Virginia running back Wendell Smallwood. Mathews has a long history of injuries, while Sproles will turn 33 in June and is in the last year of his deal. Barner, meanwhile, has not shown he is consistent enough to be counted on as a reliable member of a running back rotation. Smallwood will now join that rotation. Smallwood was accused of telling someone to recant their statement accusing one of his friends in a fatal shooting case. The charges were officially dropped when his friend pleaded guilty in the murder case, allowing Smallwood to continue his football career.